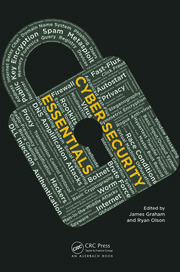 Many Smart Grid books include "privacy" in their title, but only touch on privacy, with most of the discussion focusing on cybersecurity. Filling this knowledge gap, Data Privacy for the Smart Grid provides a clear description of the Smart Grid ecosystem, presents practical guidance about its privacy risks, and details the actions required to protect data generated by Smart Grid technologies. 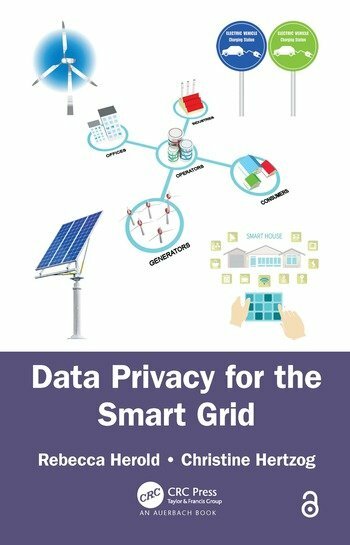 It addresses privacy in electric, natural gas, and water grids and supplies two different perspectives of the topic—one from a Smart Grid expert and another from a privacy and information security expert. The authors have extensive experience with utilities and leading the U.S. government’s National Institute of Standards and Technologies (NIST) Cyber Security Working Group (CSWG)/Smart Grid Interoperability Group (SGIP) Privacy Subgroup. 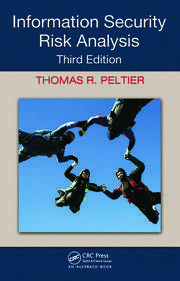 This comprehensive book is understandable for all those involved in the Smart Grid. The authors detail the facts about Smart Grid privacy so readers can separate truth from myth about Smart Grid privacy. While considering privacy in the Smart Grid, the book also examines the data created by Smart Grid technologies and machine-to-machine (M2M) applications and associated legal issues. The text details guidelines based on the Organization for Economic Cooperation and Development Privacy Guidelines and the U.S. Federal Trade Commission Fair Information Practices. It includes privacy training recommendations and references to additional Smart Grid privacy resources. After reading the book, readers will be prepared to develop informed opinions, establish fact-based decisions, make meaningful contributions to Smart Grid legislation and policies, and to build technologies to preserve and protect privacy. Policy makers; Smart Grid and M2M product and service developers; utility customer and privacy resources; and other service providers and resources are primary beneficiaries of the information provided in Data Privacy for the Smart Grid. 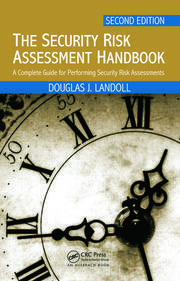 However, everyone interested in Smart Grid privacy implications will derive great value from this book. What’s the Difference between Security and Privacy? Rebecca Herold has over two and a half decades of information privacy, security, and compliance expertise. Rebecca is CEO of Privacy Professor® and owner/partner for SIMBUS® and has led the NIST SGIP Smart Grid Privacy Group since June 2009. She has been an adjunct professor for the Norwich University MSISA program since 2005 and has written 17 books and hundreds of published articles. Rebecca is invited to speak at a wide variety of events throughout the United States, and other worldwide locations such as Melbourne, Australia, Bogotá, Colombia, and Ireland. Rebecca is an owner and partner for the SIMBUS services for healthcare organizations and their business associates to meet their HIPAA, HITECH, and other legal requirements, with more industries added in late 2014. She is also a partner for the Compliance Helper services and has been leading the NIST SGIP Smart Grid Privacy Group since June 2009. Rebecca is a member of the IAPP Certification Advisory Board, and is an instructor for the IAPP’s CIPM, CIPP/IT, CIPP/US, and CIPP Foundations classes. She currently serves on multiple advisory boards for security, privacy, and high-tech technology organizations. Rebecca is frequently interviewed and quoted in diverse broadcasts and publications such as IAPP Privacy Advisor, BNA Privacy & Security Law Report, Wired, Popular Science, Computerworld, IEEE’s Security and Privacy Journal, NPR, and many others. Rebecca regularly appears on the Des Moines, Iowa-based Great Day morning television program on KCWI to discuss and provide advice for information security and privacy topics. Born and raised in Missouri, she has degrees in math, computer science, and education. Christine Hertzog is the founder and managing director of the Smart Grid Library and SGL Partners, delivering consulting and information services about Smart Grid and Smart Infrastructure technologies, services, and solutions. Her firm provides pragmatic guidance to global vendors, governmental entities, and utilities covering a broad range of needs, such as strategic corporate and market insights and design and deployment of prosumer-centric utility operations. Ms. Hertzog is the author of the Smart Grid Dictionary that defines the jargon, acronyms, and terminology about technologies, international standards, and organizations associated with the Smart Grid and Smart Infrastructure. She is the coauthor of The Smart Grid Consumer Focus Strategy, which identifies consumer/utility challenges and methods to ensure successful prosumer operations and interactions. She is a recognized thought leader and regular speaker at industry conferences and writes a syndicated blog about Smart Grid and Smart Infrastructure topics. Based in Silicon Valley, Ms. Hertzog serves as an advisor to Smart Grid start-ups and industry associations and publications, including The Energy Collective, ElectricityPolicy.com, Energy Post, Agrion, and IBCon. She has a master of science degree in telecommunications from the University of Colorado–Boulder. See more about Ms. Hertzog at www.SmartGridLibrary.com.